A week after being swept at home, #16 Quinnipiac raced out a 2-0 lead less than three and a half minutes into the game and look primed to put last weeks poor performance in the rear view mirror. 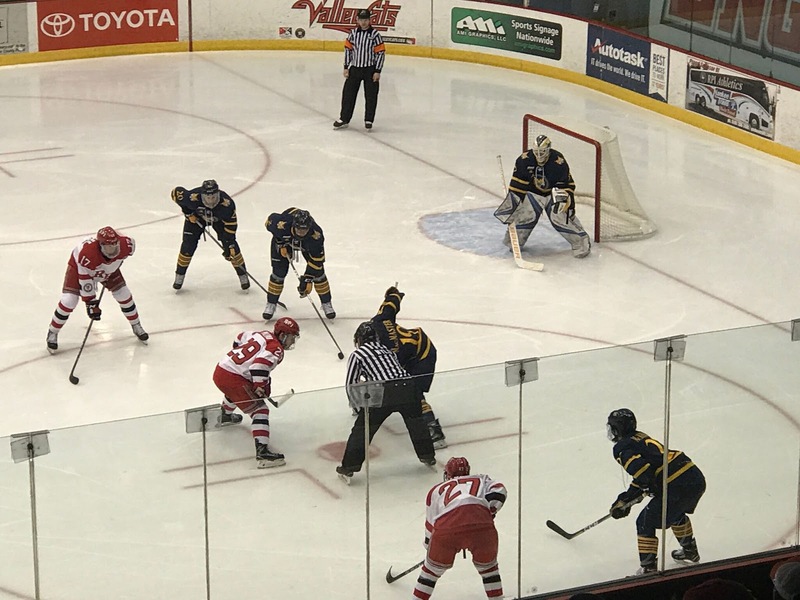 Except for the fact that Quinnipiac played poorly for the final 40 minutes of the game in which they were outworked by the RPI Engineers who came back from a 3-1 deficit to win 5-3 on Friday night at Houston Field House in Troy, NY dropping Quinnipiac to 3-4-1 (0-3 ECAC). Senior Landon Smith scored just 1:32 into the game with his line-mates Tanner MacMaster and Odeen Tufto picking up the assists. A slashing call on RPI led the Bobcats to their first power play of the game which they immediately capitalized on with a Chase Priskie goal with Tufto and Craig Martin picking up the assists. RPI cut the lead to 2-1 when Will Reilly went five hole past Keith Petruzzelli. Quinnipiac got a late power play goal by Craig Martin towards the end of the period to extend the lead once again. 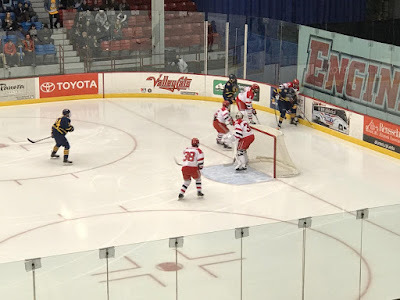 The tide turned in the second period with RPI showing much more energy along with Quinnipiac making self inflicted mistakes with failing to clear pucks in their own zone and careless penalties that luckily didn't hurt them. Give RPI a lot of credit for scoring two greasy goals two minutes apart by Jacob Hayhurst and Viktor Liljegren. Once RPI tied the score, Keith Petruzzelli was pulled for Andrew Shortridge after giving up 3 goals on 11 shots. Quinnipiac continued to play with fire in the third period with two more penalties before finally being burned on an outstanding individual effort by Liljegren who beat Shortridge at a tough angle fighting off a defender to give the Engineers the lead for good. 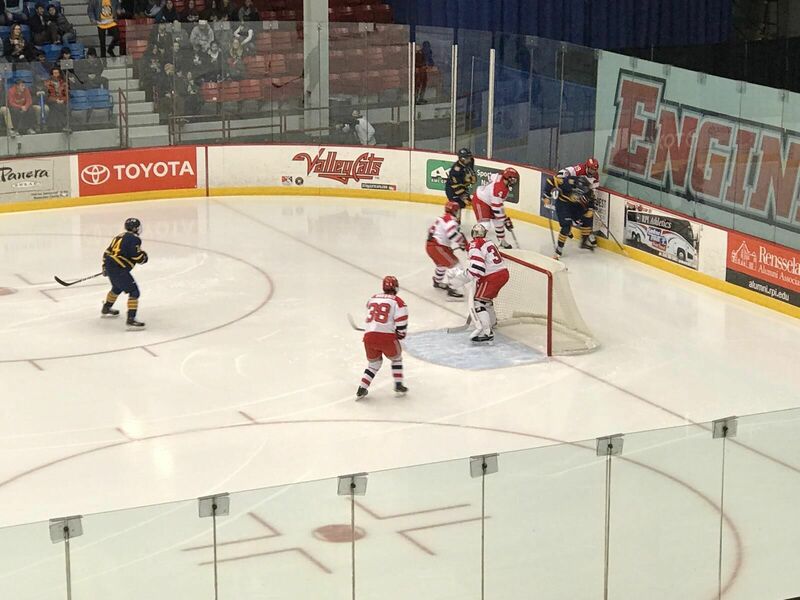 Liljegren capped the scoring with a natural hat trick with the empty net goal with nine seconds left in the game sending Quinnipiac to their third consecutive ECAC loss extending the worst conference start since moving to the ECAC in program history. The Bobcats now head to Union who are coming off a 4-3 overtime win over Princeton desperately seeking a conference win.